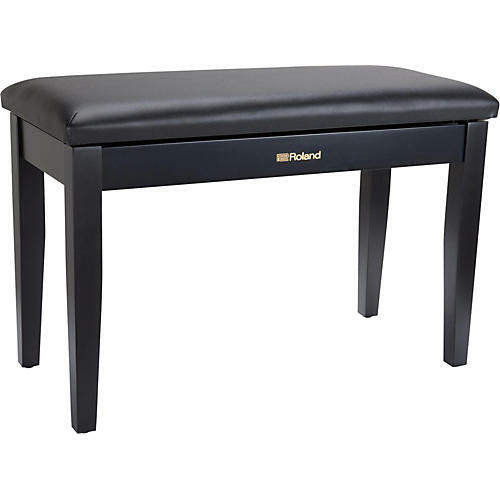 The Roland RPB-D100BK is a fixed-height piano bench with a wide seat that allows two people to play side by side. It features a handsome satin black finish, plus solid wood construction for lasting durability. The seat top is cushioned for comfort during long playing sessions, and lifts to provide access to a storage compartment for sheet music and accessories.